- Lira now "in a full-blown currency crisis"
The Euro exchange rate came under pressure on August 10 as markets express concerns about potential contagion risks emanating from Turkey. It looks like the collapsing Turkish Lira is raising concerns for the stability of Eurozone financial assets; and the European Central Bank is taking notice according to reports. 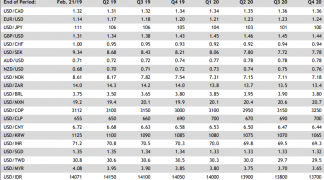 The immediate concern for the ECB is the exposure of European-based banks with an exposure to Turkey; notable names include UniCredit and BNP Paribas. Should these banks see growing stresses there could be notable pass-through effects on Eurozone credit conditions. The Lira booked a new record low against the Dollar and a host of other currencies as investors flee Turkish assets in the wake of simmering tensions with the US. The currency took a sharp leg lower on the announcement by US President Donald Trump that the US was looking to double its import tariffs on Turkish aluminium and steel. Markets believe that the Turkish issue has reached a magnitude that could well see the ECB refrain from ending its supportive quantitative easing programme at the end of 2018, and this could in turn delay an interest rate rise in late 2019. It is the assumption that this rate rise is coming that has kept the Euro exchange rate complex relatively supported over recent months. Turkey is clearly now a 'fly in the ointment' when it comes to assumptions for tighter ECB policy and a stronger Euro. 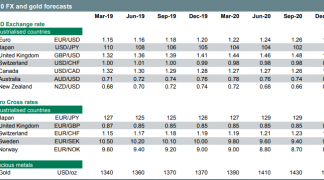 "EUR/USD has broken below the recent 21 June low of 1.1509 to 1.1446 at the time of writing after the FT reported that the ECB was concerned about the Turkish exposure of some European banks. 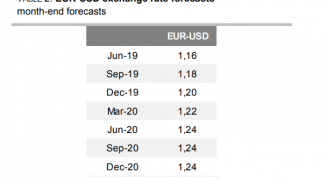 It looks like EUR/USD will hit our end‑September forecast of 1.1400 early," says Richard Grace, a foreign exchange strategist with Commonwealth Bank Australia. The single-currency is down half a percent against the Dollar, and even Sterling is taking a good slice of recent losses back with the Euro-to-Pound conversion notching a 0.25% slip to 0.8964, with the exchange rate having been as high 0.9030 this week. 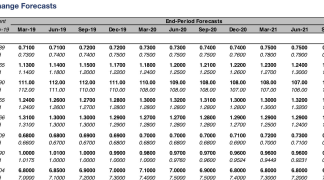 "GBP stabilised somewhat yesterday and EUR/GBP fell back to just below the 0.90 level. 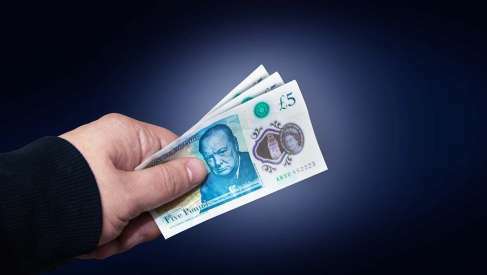 The move lower in EUR/GBP was mainly driven by the downward pressure on EUR/USD though, and we still think it is too early to call for a stabilisation in GBP risk premium," says Jens Peter Sørensen, Chief Analyst with Danske Bank. The recovery of Sterling ensures the Pound-Euro rate is quoted at 1.1153 on the interbank market, in turn raising the best rates on payments towards the 1.11 threshold and lifting high-street bank transfer rates towards the mid 1.10s. Turkey in "Full Blown Currency Crisis"
The Turkish Lira and Russian Ruble are struggling after both countries were recently hit by fresh US sanctions. The added weakness in Turkish currency - that has seen it plunge a further 10% - comes as disappointment set in after talks between Turkish and US diplomats in Washington failed to result in a compromise that was likely to ease sanctions. The Turkish delegation met with the State Department's No. 2 official, John Sullivan, on Wednesday to address friction between the NATO allies. There were no signs of a breakthrough after the hour-long talks. There was widespread selling of Turkish financial assets and fears are growing the country might have to turn to the IMF for support or introduce capital controls - measures that prevent outflows - became a distinct possibility. "The TRY is in a full-blown currency crisis as the number of negative stories increases," says Morten Lund with Nordea Markets. "We think that Erdogan needs to act now if he does not want Turkey to develop into a mini-Venezuela (worst case scenario). Growth will take a significant hit no matter what, so the important thing now is to do some damage control and stabilise the Lira." The Trump administration imposed financial sanctions against two ministers of President Recep Erdogan’s cabinet, a move that sent the Turkish lira plummeting. "The near-term path for the TRY is more in the hands of Ankara. The Finance Ministry may provide some insights into its ‘New Economic Model’ later today – perhaps with reference to budget deficits to address fiscal imbalances," says Viraj Patel, a foreign exchange strategist with ING Bank N.V.
"We doubt Turkey is ready to limit its fiscal flexibility right now. And without measures to address its inflation problem, TRY will likely remain under pressure," adds Patel. This could therefore well translate into the Euro staying under pressure.